Running a Nonprofit Organisation requires communicating with a lot of people, companies and government departments. 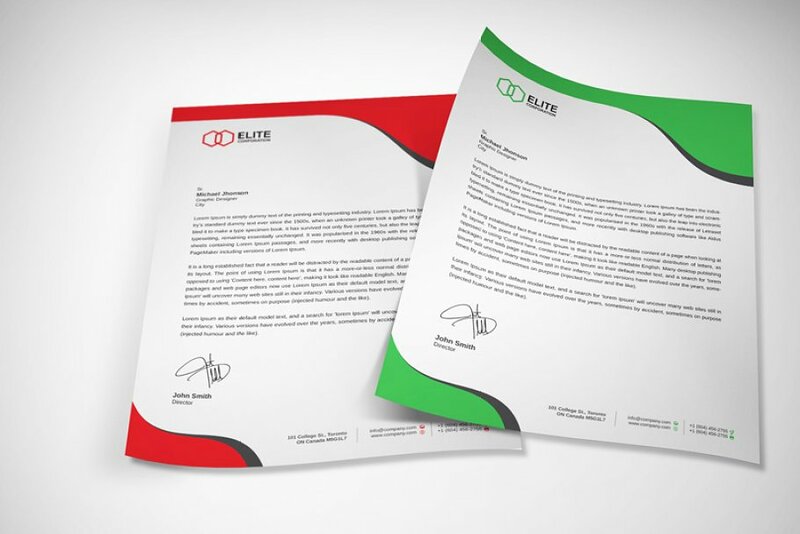 To make the right impression and to leave a memory stamp, it is best to have a letterhead that will stand out from the rest. 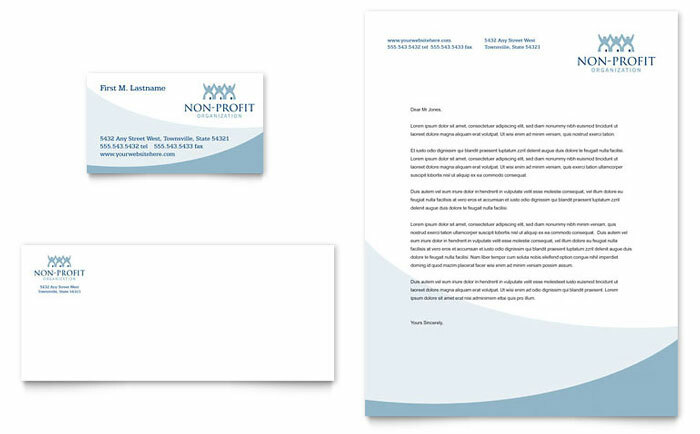 The mere sight of the letterhead should tell the reader that it is from your Nonprofit and that is only possible if you are using a letterhead design which is exceptional and representative of what your organisation does. 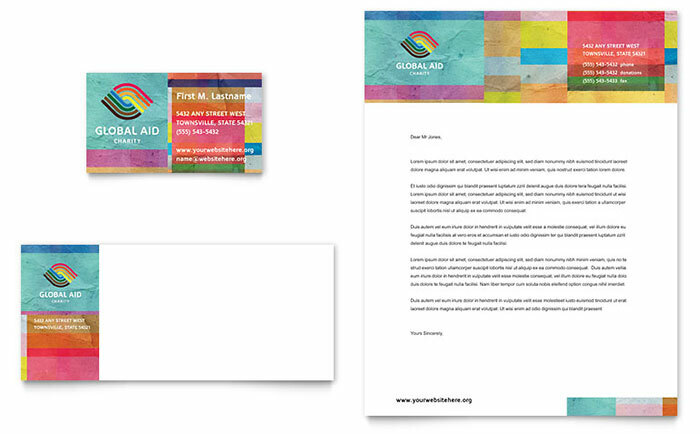 Below, we are providing samples of 5+ Nonprofit Letterhead Examples and Templates that should meet your requirement. Make use of any of these for a great result in creating a brand image and recall value for your Nonprofit. For a humanitarian Nonprofit, this is an appropriate letterhead. The colour scheme is universal which reflects that humanity is a universal trait. The straight lines are simple and powerful. The clear demarcation of colours gives a statement that you are clear about your work and intent. The address of your organisation can be given in the top right corner like it is here. Overall a perfect setup for a letterhead sample. The above sample template can be worked upon using Coreldraw, Word, Indesign, Publisher, Apple Pages, Illustrator and QuarkExpress and is therefore very easy to customise according to your Nonprofits requirements. You need to only replace the existing logo with your Nonprofit logo while keeping the colour scheme and design intact to make a great looking letterhead. The letterhead sample for a Homeless Shelter Nonprofit stands out with its colour scheme which is sober and simple. It gives just the right impression to the reader with scraped corners of the colour blocks which are intentionally designed that way to convey the distressful state of the homeless people. It is an unusual pattern and stands out from the lot. Like in this sample, you can give your helpline number at the top and then give the address at the bottom of the letterhead in the footer section. It will definitely be a good representation of your work. 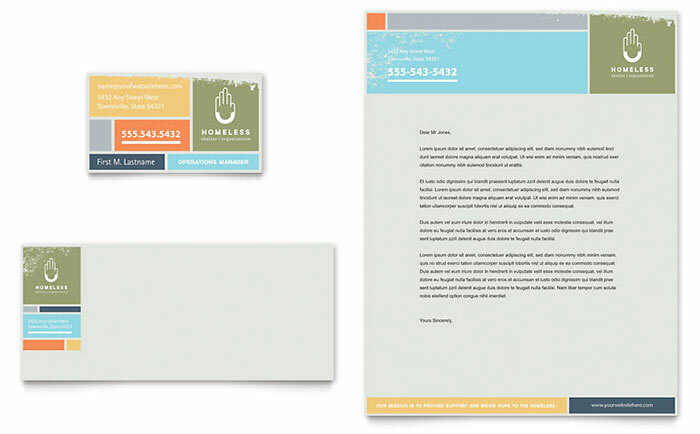 Replace the sample’s logo with your Nonprofit logo and you have a great and impactful letterhead ready for you. For those running a foster care and adoption Nonprofit, this letterhead is ideal for its child-like feel. The picture on the top left corner is indicative of fun and hope, which is what a child brings into a family. Also, the overall coloured background of the entire page is also very different from the lot. It is very indicative of an organisation that helps children. The organisation details are given in the header section on the right side and the footer can be left blank like in this sample. All you need to do to use this letterhead is to replace the sample’s logo with your own Nonprofit logo and you are good to go. To do that you can any of the software such as Coreldraw, Word, Indesign, Publisher, Apple Pages, Illustrator and QuarkExpress to edit this sample. It is that easy. The green leaf says it all. If you have a Nonprofit that is into caring and working for the environment, then the leaf itself is the best possible representation of your work. This is a minimalist design but is very powerful and tells the entire story. This is what you call keeping-it-short-and-simple. In this sample, the top part is mostly blank and is bereft of organisation address and contact information which is given in the footer section. You can easily use this letterhead sample for your own Nonprofit by changing the sample logo with your own with the help of any of the software such Coreldraw, Word, Indesign, Publisher, Apple Pages, Illustrator and QuarkExpress to edit this sample. If you like you can even use your own emblem instead of the leaf but we strongly suggest you go with this one. When running a community Nonprofit, keeping this template as a letterhead will be beneficial. The colour scheme is very simple and sombre. The look may even seem dull to some, but considering the requirement of keeping it simple and yet be able to make a statement with the design, is met here. All details are spaced out at the top very nicely and are just enough to make the right impression on the reader. In this sample, the organisation details are given in the left-hand side of the header column and the footer column is totally empty. 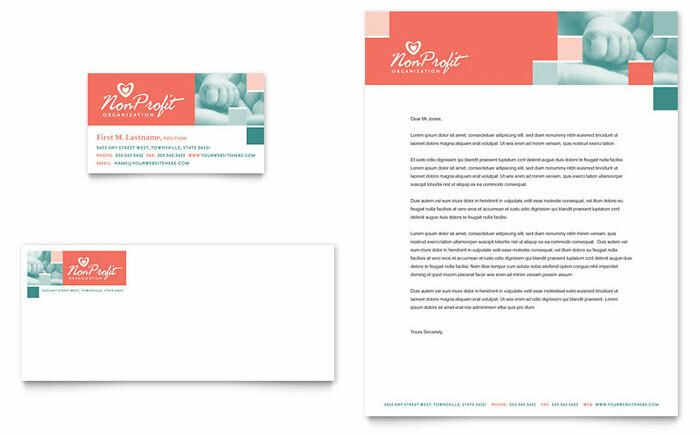 The joyful colour combination and the picture of a baby’s fist being softly nestled in a grownup’s palm on the top right corner, make a powerful impression and leave very little unsaid if you use this letterhead template for a Children’s Nonprofit. 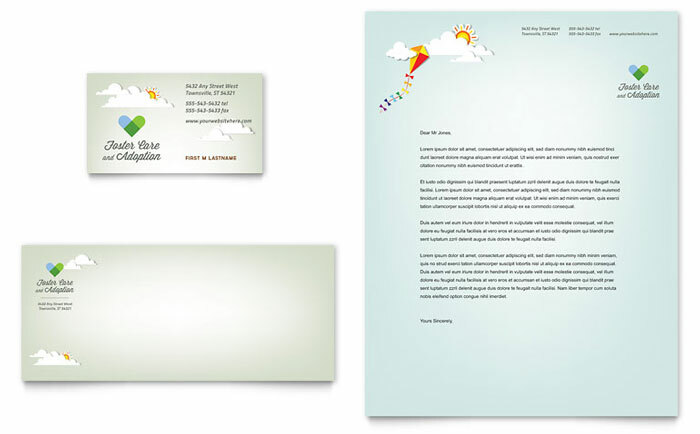 Children need care and support and that message is conveyed aptly with this simple and elegant letterhead design. It also leaves a memory stamp in the reader’s mind about your work and has a good recall value. Here the organisation details are given in a single line in the footer section. The above sample template can be worked upon using Coreldraw, Word, Indesign, Publisher, Apple Pages, Illustrator and QuarkExpress and is therefore very easy to customise according to your Nonprofits requirements. You need to only replace the existing logo with your Nonprofit logo while keeping the colour scheme and design intact to make a fabulous letterhead. 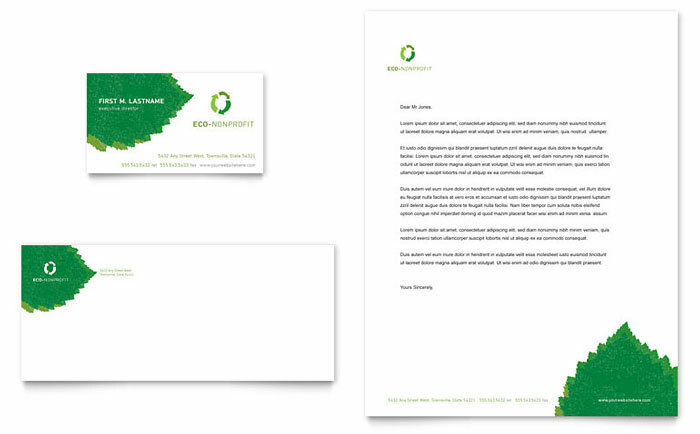 This is a generic Letterhead template that can be used by any Nonprofit for their use. It gives enough scope for displaying your organisational information on it and you can replace the sample logo with your Nonprofits logo very easily as it is in a ‘doc’ format. It has a very simple look and is very good on the eyes.